Final four DLC packs detailed and dated. 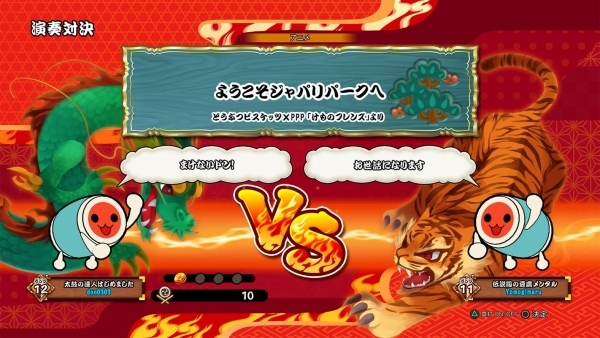 Bandai Namco has detailed Volumes 3 to 6 of its “Donda Pack” add-ons for Taiko Drum Master: Drum Session following details of Volumes 1 and 2 in August. Taiko Drum Master: Drum Session is due out for PlayStation 4 in Japan, as well as in Southeast Asia (Singapore, Malaysia, Thailand, Philippines, and Indonesia) with English subtitles, on October 26. A downloadable demo is available now in Japan. PlayStation 4, Bandai Namco, DLC, Rhythm Games, Taiko no Tatsujin: Drum Sesssion!